Apple is set to make its first official appearance at the security-focused Black Hat conference this year. 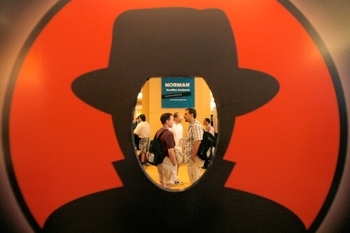 The move is both surprising given the company’s tradition of avoiding most major technology conferences, and significant as their products have become a bigger target for hackers in recent times. Apple hasn’t made an official announcement yet and declined to comment on rumors, but Black Hat’s general manager Trey Ford told Bloomberg that Apple's platform security team manager Dallas De Atley is scheduled to give a presentation on key security technologies within the iOS platform. Interestingly, Ford claims a panel of Apple insiders were originally scheduled to speak about the company's security-response team at Black Hat four years ago, but cancelled abruptly when Apple’s marketing department caught wind of it. “Bottom line — no one at Apple speaks without marketing approval,” he said, while confirming that this time around Apple marketing is on board for Black Hat 2012. Microsoft security researchers first spoke at the conference in 1998 and the first time Google took the stage was in 2010. Now, under Tim Cook’s helm, it appears Apple is finally acknowledging the need to publicly engage with the community and discuss the security of its own platforms. Earlier this year, the company was criticized for being to slow to respond to a Java flaw exploited by the Flashback Trojan, which ended up infecting more than 600,000 Macs between February and May. They were also in the spotlight recently over a simple hack that allowed iOS and Mac users to install premium in-app purchases from the App Store for free, which ultimately affected developers.